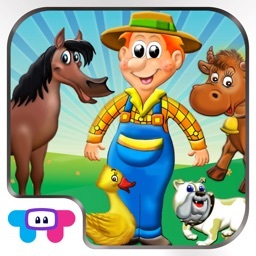 Sing and Play with the happiest animals in the App-Store! Fabulous animated activities, ideal for an engaging, educational, visually and audibly exciting experience. 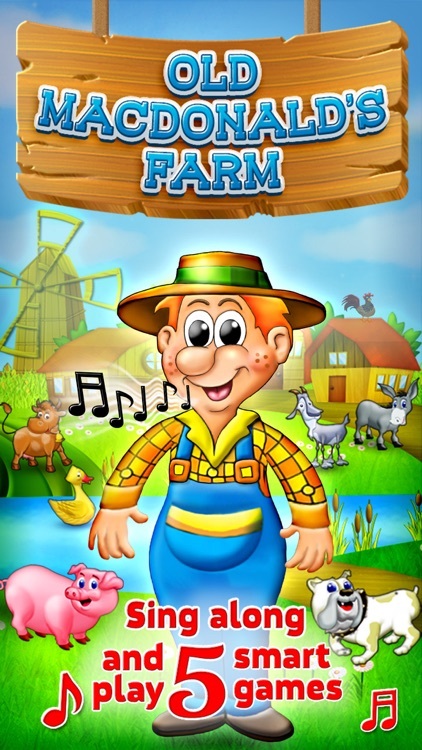 Animated, Interactive Sing-Along story book for children - The famous “Old Macdonald’s Farm” comes to life in an interactive rich song and dance experience. 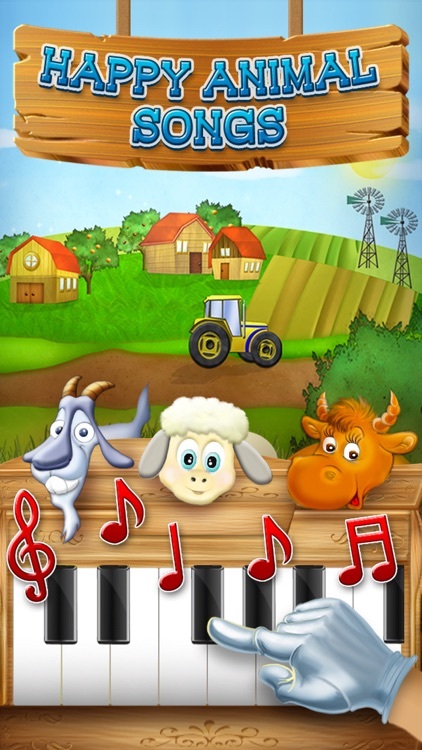 Introduce a full octave keyboard piano where animals sing with the cords. 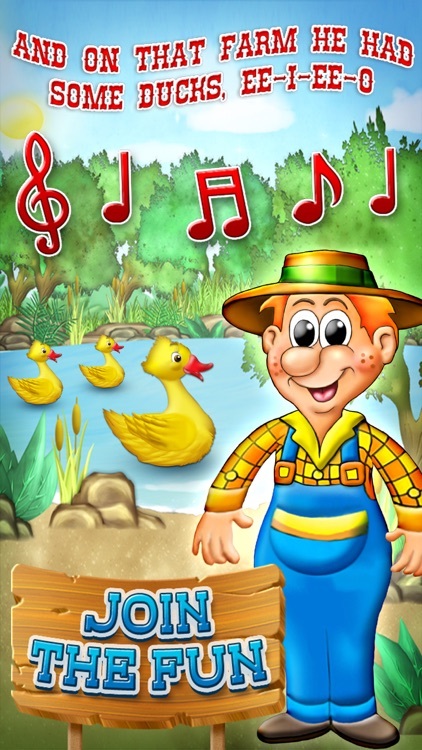 Enjoy funny and fun animal sounds while playing favorite piano tunes. Hear each animal sounds and detect which animal got mixed up. Tap the animal that made the wrong sound and move on to the next challenging and fun stage. Learn your animal sounds in the process. Help connect the puzzle pieces and construct your favorite animal images. Super fun and extra simple to use intuitive puzzle game. 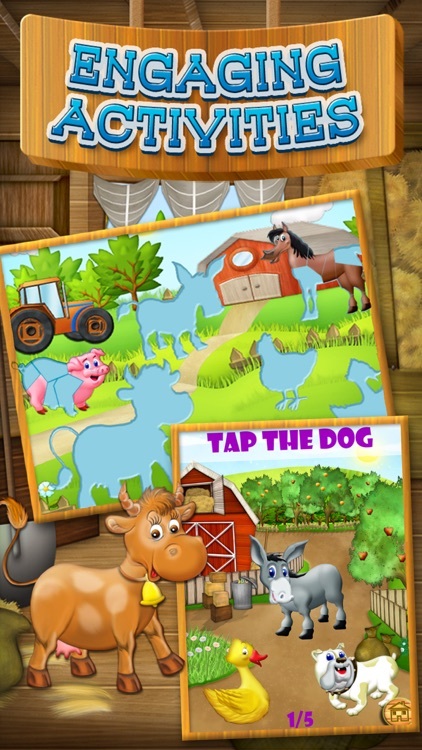 Each animal breaks to pieces, drag and drop with your finger to complete the puzzle and move on to the next challenging animal. 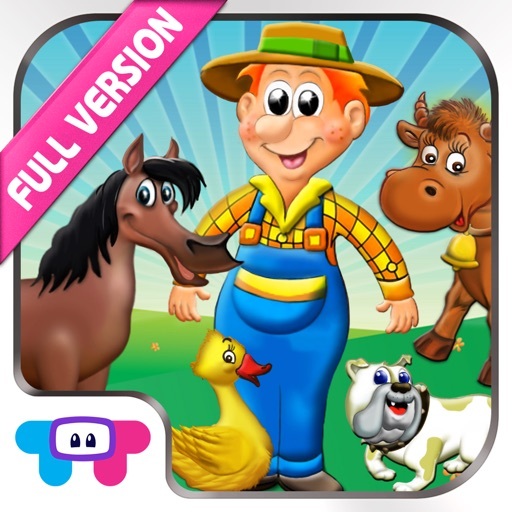 Each animal has its name, tap on the correct animal every turn and move on to the next challenging and fun stage. Learn your animal names in the process. tap the barn to see who is inside. Meet the 15 animals of the song and learn their names and animal sound. Insert any amount of stickers from the adorable animals and place them inside the ten fantastic backgrounds which you can paint on as well. Old Macdonald is playing in his hay stack maze. Can you help him find his way to the barn? Enjoy 20 exciting mazes and 2 levels of difficulty. 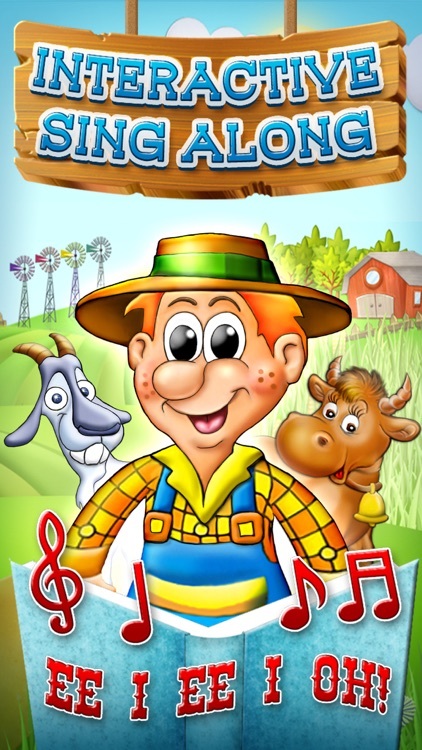 Fill Old Macdonald`s coloring pages with 40 vibrant colors. 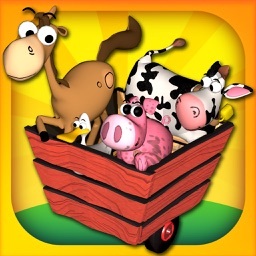 Color each of your favorite farm animals , then save your drawing to the photo album. 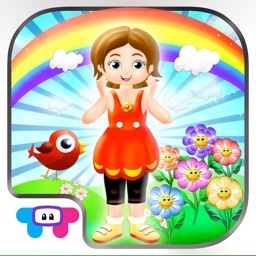 Intuitive, educational memory matching games. Match pairs of animals to learn their voices and names. Complete all pairs to move to the next level. 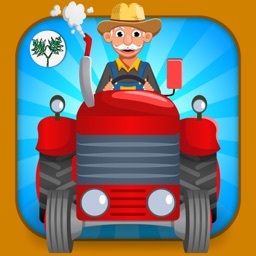 Improve your memory and concentration skills by playing the game again and again. Note: The first song page and the first few stages of each game are free. Many more fun screens, activities and features are available with easy to use in-app purchase inside the app. Similar Apps to Old Macdonald Had a Farm!